Above all else, your laundry needs to be practical – it needs to contain all the right elements to allow you to do what you need to, and it needs to be designed so that there’s ample room for you to work, bend and shift around where you need to. Where possible, when you're building or renovating your laundry it's best to try and keep your appliances and plumbing all together on one wall - both to help save space, and to keep all the plumbing together. Likewise, when you're planning your storage, you'll need to take into account how 'safe' that storage is. Laundry chemicals can be quite dangerous, and if you've got small kids it's best to make sure you've got somewhere inaccessible to store them. The exact dimensions you'll need to allow for appliances and sinks / troughs will depend on how hard up you are for space, but as a rough guide you'll need to plan for about 800mm width for your washer, or 1600mm if it's going to be side-by-side with a dryer. Most washers and dryers will fit comfortably into this amount of space but if you're likely to need a larger one you should design accordingly. If you take your laundry far too seriously and if you have enough space, you may also want to incorporate a built-in ironing board, or a table for a big laundry press or roller iron. In some houses the hot water tank will also be housed in the laundry area - usually tucked out of sight in a cupboard. There’s no hard and fast rule about how laundry areas should be laid out – or even hard and fast rules about the need for dedicated laundry rooms. In the UK, it’s very common to see laundries incorporated into kitchens to save space. While that’s rare in Australia, laundries here are often combined with bathrooms, which also makes sense in plumbing terms. Our houses are usually quite a bit bigger in Australia, so most of the time there’ll be a dedicated laundry room – typically with the features listed above but very rarely with much else. In recent years, ‘European laundries’ have taken off here in a big way – particularly in new flats and apartments. 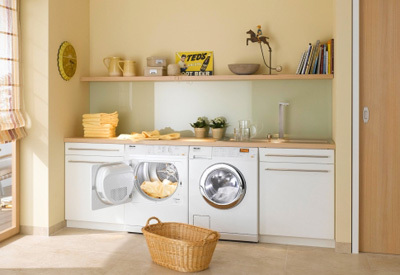 A ‘European laundry’ is a kind of laundry cupboard or cabinet, rather than a dedicated laundry room. European laundries incorporate all of the things you’d normally find in a laundry (e.g. space for washer, dryer, basin and storage), tucked into a cupboard. The biggest advantage with this kind of setup is that it ‘borrows’ space from the room it’s connected to, rather than sacrificing precious floor space exclusively for the purpose of doing laundry. Laundry cupboards usually incorporate either bifold doors or a sliding ‘pocket door’, which disappears into the wall cavity to further save space. Likewise, clothes dryers are often mounted above washing machines in these areas. Not for everyone, but definitely a good idea if you’re short on space, and (potentially) a fantastic way to renovate two rooms into one more open area. What’s the best spot for a laundry? Laundries are often located near the back door of the house – often with the laundry trough situated right next to the door for convenient access. There are a couple of reasons for this, the most obvious being that it just makes it easier to take your washing out to the washing line. Laundries near the back door also act as a defacto ‘mud room’, where dirty shoes and clothes can be dealt with before they’re dragged around the rest of the house. Your laundry doesn’t necessarily have to be located near the back door. Depending on the size and layout of your house, it might make more sense to locate your laundry in a more convenient spot. To keep plumbing to a minimum and for the sake of energy efficiency, laundries are usually also located somewhere near your hot water system, and for the same reason, possibly close to your kitchen and perhaps also a bathroom - both of which also require a fair bit of plumbing. Laundries are quite often situated in the cooler part of the house (e.g. the south-east corner), leaving the cosy, warmer areas free for rooms where you’re likely to spend a lot of time, like living rooms and bedrooms. Keeping the laundry room away from living areas - particularly bedrooms - will also help to reduce the likelihood that noise from your washing machine will be a problem. There are also a technical things that will need to be taken into account for the design of your laundry. Because a laundry is considered a 'wet area', the wall and floor construction will need to adhere to the rules set out in the Australian Standard AS3740-201 - Waterproofing of domestic wet areas. This standard also requires that a water-resistant surface material (e.g. tiles) be built at least 150mm above the surface of the laundry trough. Electrical outlets also need to be positioned in accordance with the Australian/New Zealand Wiring Rules (AS/NZS 3000:2007). Check the 'Related articles' below for more details about clearances and positioning. Adequate ventilation is also very important. If you have a dryer, it should be vented directly, preferably to the outside of your home. Where possible an exhaust fan in the laundry may also help to prevent moisture / humidity from building up and reduce the chance that you'll end up with mould on your walls. For the sake of safety and comfort, it's also worth considering whether the design of your laundry fits with the recommendations made in Livable Housing Australia's design guidelines (especially if you're planning on growing old in your home). At least 1200mm clearance in front of fixed benches and appliances. 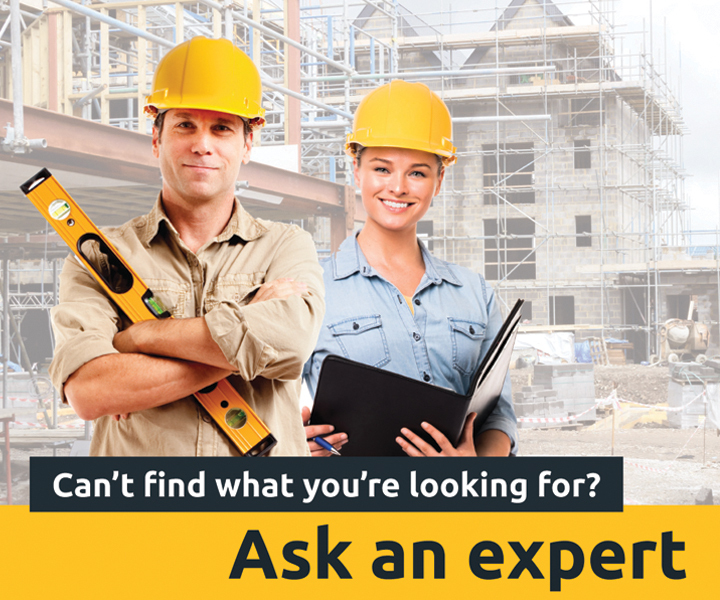 Slip resistant flooring, as detailed in the National Construction Code. Where possible, flooring that extends under cabinetry to allow cupboards to be moved in future. At least 1550mm clearance in front of fixed benches and appliances. What is a 'European laundry'?